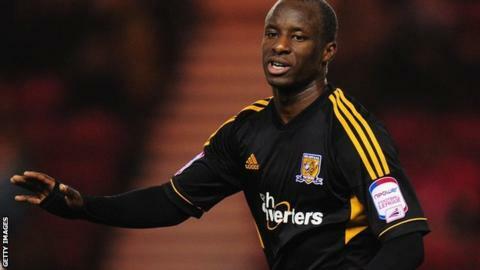 Hull City forward Sone Aluko is to undergo surgery on his Achilles and is likely to miss the rest of the season. The 24-year-old has scored eight goals in 24 matches for the Championship side this campaign. Boss Steve Bruce revealed in January the Nigerian faced up to two months out with the injury. But he has now told BBC Radio Humberside: "If I'm being honest then I can't see him playing again this season."